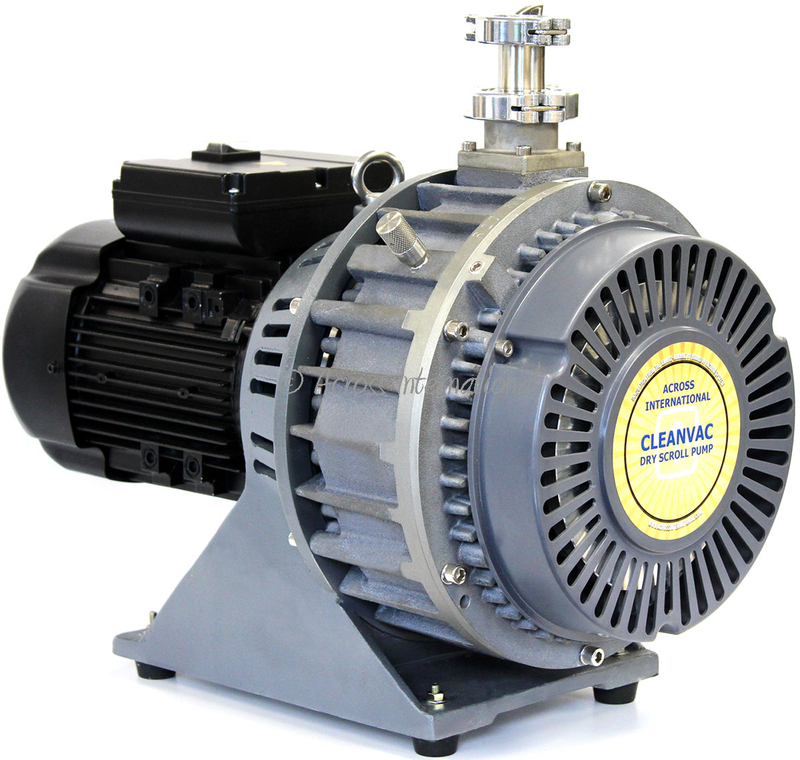 The new Across International CleanVac 22.3 CFM is a compact, lightweight, oil free dry scroll vacuum pump that will take your equipment's vacuum down to micron level in minutes. These scroll pumps are completely oil free with low ultimate pressures, low power consumption, low vibration and low noise. CleanVac offers a clean vacuum environment and eliminate the nuisance of cumbersome lubricant maintenance or sealing water administration. They are also free from installation restrictions because of its air-cooled system. The adjustable gas ballast pulls a slower vacuum by allowing dry air directly into the pump, diluting the vacuum pull and keeping moisture, solvents, and other contaminants from getting stuck in the pump. The CleanVac series scroll pumps also feature the latest in tip seal technology giving significantly longer life between tip seal changes. These pumps are designed for reliable long time continuous operation. They come standard with all necessary fittings and an exhaust filter/silencer.